The father of Emma Mhic Mhathúna's daughter Natasha said the entire family were touched by the kindness shown to them across Ireland. Wayne Hughes said that the reaction from the Kerry community and beyond had been "unbelievable". "It has been incredible listening to the wonderful things being said about Emma," he added. The remains of the mother of five, who died on Sunday in University Hospital Kerry (UHK), were escorted back to Baile na nGall (Ballydavid), her beloved adopted home in the west Kerry Gaeltacht. Mr Hughes said she had fought and campaigned so hard for the future of her children, and also for the other women hit by the CervicalCheck scandal. "We are all so proud of her," he said. He said everyone has also been deeply moved by the kindness shown to the family and children in the Gaeltacht community of Baile na nGall. 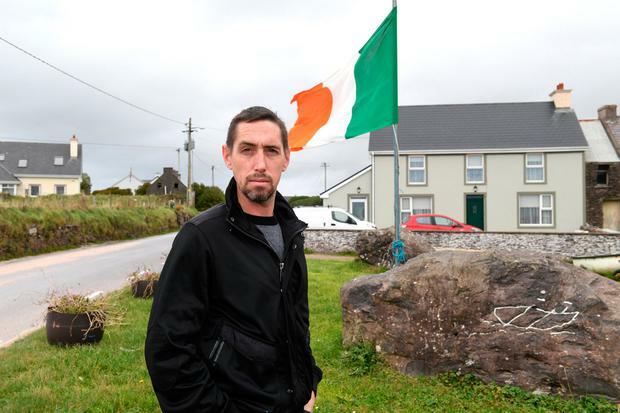 "The people here in Kerry have been so kind. They have been amazing," he said. The community was flying the Tricolour at half mast as a gesture of solidarity. Ms Mhic Mhathúna's remains lay in repose overnight in the bungalow she chose as the "dream home" for her five children just 18 months ago. Her coffin will be carried today to Séipéal na Carraige, just metres from her home, for 11am Requiem Mass celebrated by Fr Eoghan O'Cadhla, parish priest of Baile an Fheirtéaraigh. She will then be brought to Dublin for a second Requiem Mass in the ProCathedral tomorrow. Rita Begley, proprietor of Tig Bheaglaoich, said the community was deeply moved by the sheer scale of the tragedy. "This is a strong, tightknit community and we wanted to show we cared. Everyone here is absolutely heartbroken for five children who have lost a devoted mother," she said.